An occupational name of ancient French roots, ‘Taylor’ has featured prominently in the historical record from the earliest times. Many of its bearers have achieved high honours and distinction through a colourfully diverse range of endeavours and pursuits that include the sciences and the world of invention to the stage, sport and music. Presented here is the stirring tale of the Taylors, both past and present. ..
Of ancient Anglo-Saxon roots, ‘Trotter’ is a name whose history dates back to the sixth century A.D. Bearers of the name have stamped a significant mark on the historical record, through pursuits and endeavours ranging from the military and medicine to sport and the stage, while one particularly daredevil Trotter is famed for having gone over Niagara Falls in a barrel. One of the many intrepid bearers of the name was Colonel Sir Henry Trotter who, as an officer i..
A name that has featured prominently in the historical record for centuries, ‘Walker’ has roots in England that stretch back through the dim mists of time to the Anglo-Saxons. From the worlds of invention, the sciences and business to the stage, music and literature, many of its bearers have acquired international acclaim. 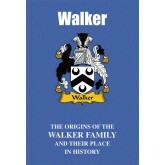 Read here the vibrant tale of the Walkers, past and present. ..
A name whose bearers have achieved high honours and distinction through a colourfully rich and varied range of endeavours and pursuits, ‘Watson’ has roots that stretch back through the dim mists of time to England’s Anglo-Saxon past. 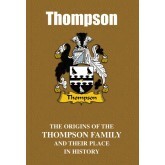 From the worlds of medicine, invention and the sciences, they have stamped an indelible mark on the historical record. Read here the proud and inspiring tale of the Watsons, past and present. ..
An occupational surname popularised in the wake of the Norman Conquest of 1066, ‘Webb’ was nevertheless present throughout England for a considerable period before this. While original bearers of the name worked as weavers, their descendants have gone on to gain fame through such varied activities as the stage, music, literature, sport and politics. In the field of politics in general and social reform in particular, Sidney Webb and his wife Beatrice , born respe..
A rich and colourful mixture of the blood of both the Anglo-Saxons and the Normans flows through the veins of bearers of the proud name of White today. Many have achieved high honours and distinction through pursuits and endeavours that range from the stage to music, sport and literature. Their stirring tale is recounted here. ..
A name originally descriptive of battle-hardened and feared warriors, ‘Wilson’ has been present from the earliest of times. Away from the battlefield, it features prominently in the diverse worlds of business, politics, music, the stage, sport and literature, with many of its bearers gaining high honours and distinction. Presented here is the colourful and dramatic tale of the Wilsons, both past and present. ..
From the diverse worlds of the battlefield, invention and business to film, sport and music, bearers of the Wood name have gained international recognition. Of a number of possible points of origin, it has been present from the earliest times. Read here the colourful and inspiring tale of proud bearers of the name of Wood and their namesakes the Woods. ..
A name rooted deep in England’s turbulent yet colourful Anglo-Saxon past, the surname of Young has featured prominently in the historical record from the earliest times. From the diverse worlds of science, religion, business, the stage and music, many of the name have gained international recognition and fame. Presented here is the stirring tale of the Youngs, past and present. ..